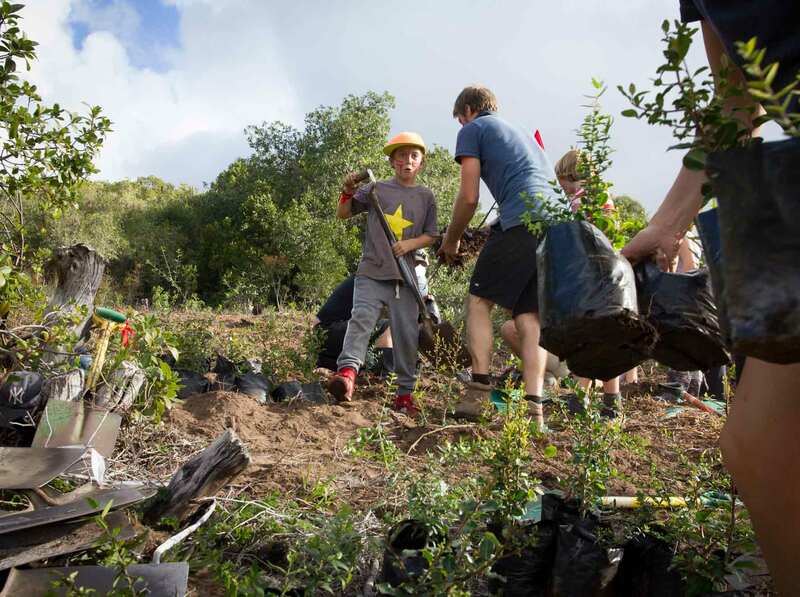 Above: Planting of indigenous trees at Platbos Forest near Gaansbaai by volunteers at GreenPop Reforest Fest. Photo: Platbos Conservation Trust. “The best time to plant a tree was 20 years ago. The second best time is now” (Chinese Proverb). Platbos Forest lies in the Overberg near Gansbaai and is the southernmost forest on the African continent. This beautiful and ancient afrotemperate forest supports a unique assemblage of tree similar to the Tongaland-Pondoland forests of Kwa-Zulu Natal. It is also rich in wildlife from leopards to Paradise Flycatchers. In the 1950s part of Platbos forest was destroyed and transformed for potato cultivation and the once forested area became colonised by alien invasive plants. Since 2008 the Platbos Conservation Trust has been working hard to reforest the cleared area. Tree saplings are harvested from the forest floor and grown on in the on-site forest nursery until they are large enough to be replanted to expand the forest. 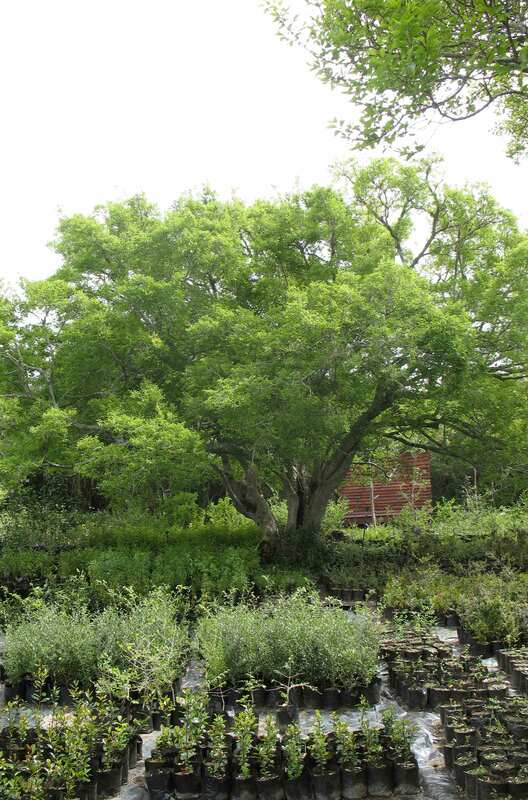 You can support the work of the Platbos Conservation Trust by sponsoring a tree. Trees cost R150 with an optional gift card to be sent to the recipient at R50. A new and innovative tool, the TreeApp was launched during Arbor Week in September. 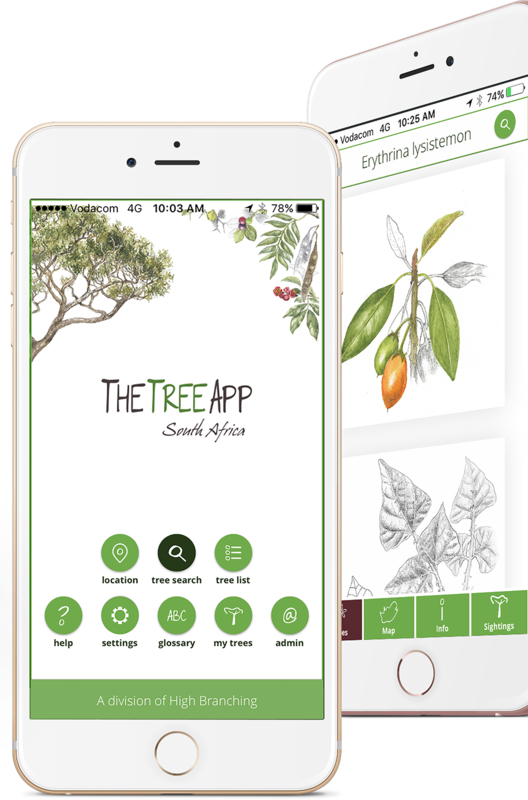 This award-winning Android and Apple app, six years in the making and rich with original botanical artwork and information, assists anyone from the keen amateur to the most informed botanist in identifying and learning about South Africa’s indigenous and alien trees. The TreeApp opens up a whole new world of knowledge and is modern, interactive, user friendly and accessible to those from school students to environmental managers. Users can search by location, national park or nature reserve, or physical attributes such as leaves, flowers and fruit to easily narrow down a search from the 1114 species encompassed by the TreeApp to the tree they would like to identify. The TreeApp encourages those to get out and learn more about the rich biodiversity around them and is a highly rewarding gift to inspire a love and greater knowledge of South Africa’s trees. 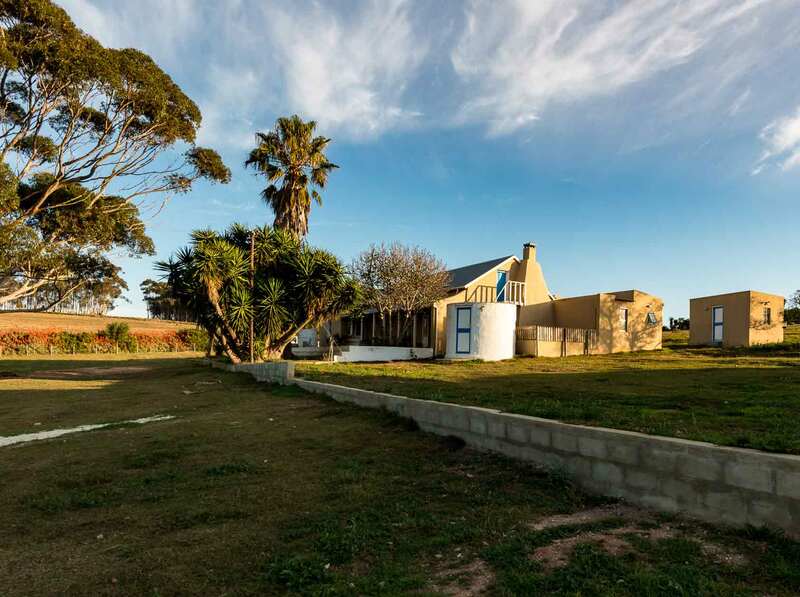 Above: Main farmhouse: Haarwegskloof Renosterveld Reserve Research and Visitors Centre. Photo: Overberg Renosterveld Conservation Trust. 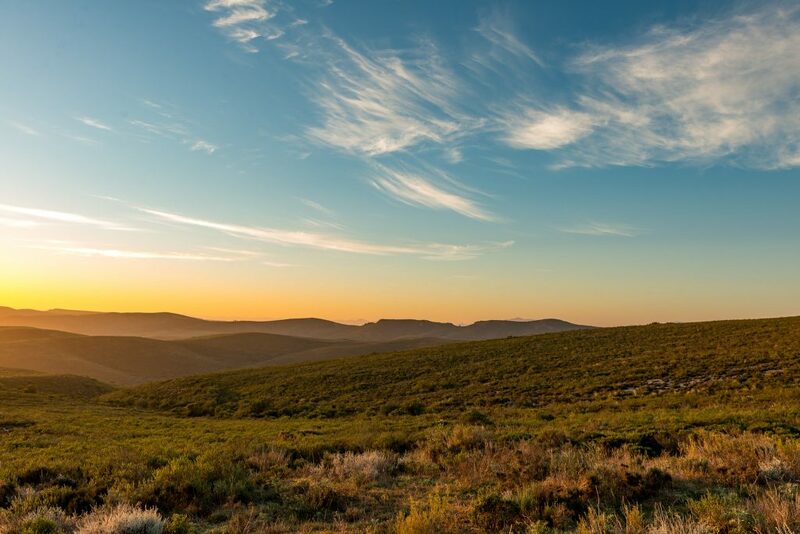 The Overberg Renosterveld Conservation Trust (ORCT) is working hard to conserve one of the world’s most threatened ecosystems. The lowland Renosterveld of the Overberg is one of the world’s most species diverse Mediterranean type shrublands and just 4% of its former extent remains owing to transformation for agriculture. The ORCT is working closely with Overberg farmers to best conserve what remains. They are undertaking this challenge through signing Renosterveld into conservation in perpetuity, education and awareness, restoring watercourses and ongoing research into this little known and critically endangered ecosystem. Why not come and visit the ORCT’s Renosterveld Research and Visitor’s Centre at Haarwegskloof in the eastern Overberg and come and see for yourself? You can support the work of the Trust through gifting donations or a stay in their homely and luxurious Old Dairy guest house. 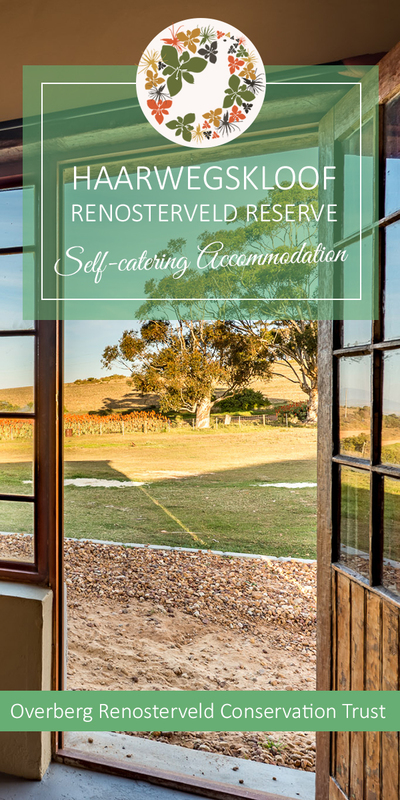 The guesthouse backs onto the world’s largest area of Renosterveld complete with an informative self-guided hiking trail for guests to explore and learn more while enjoying stunning views across Haarwegskloof and De Hoop Nature Reserve and the Langeberg Mountains beyond. 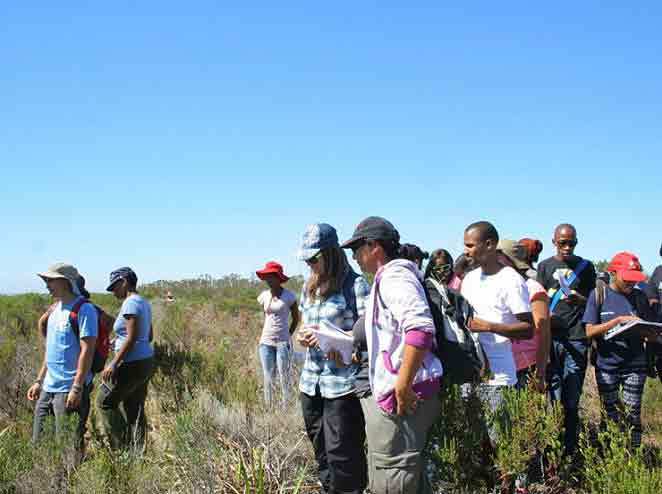 Above: Students from Cape Peninsula University of Technology (CPUT) in the field with the Custodians of Rare and Endangered Wildflowers (CREW). Photo: Botanical Society of South Africa. The Botanical Society of South Africa (BotSoc) was established in 1913 alongside Cape Town’s Kirstenbosch National Botanic Gardens and since then has grown into a thriving conservation organisation with more than 30,000 members all over the globe. 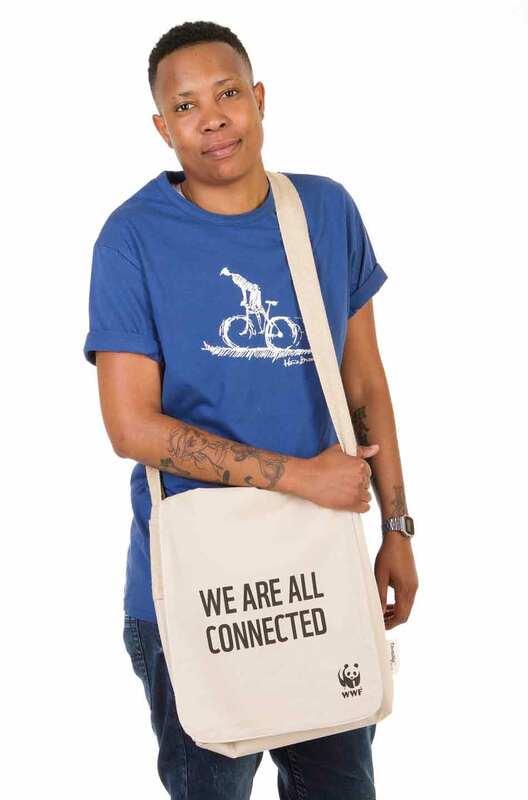 Why not gift a membership and encourage others to join them? 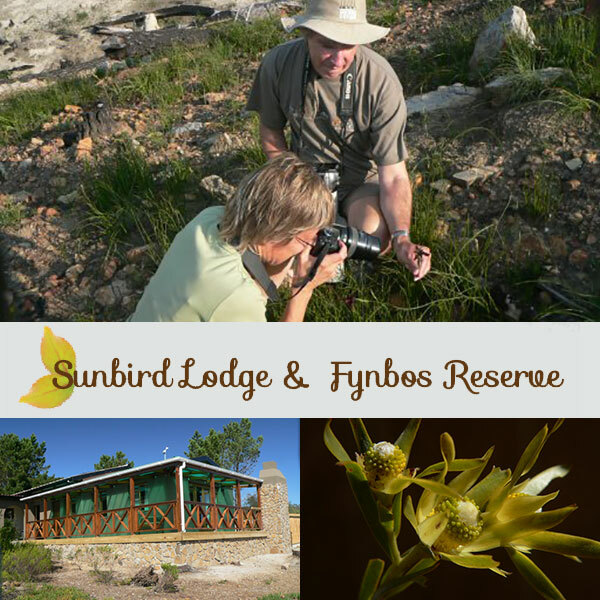 Benefits to members include unlimited free entrance to all the South African National Biodiversity Institute’s stunning botanic gardens across the country, tempting discounts at BotSoc’s bookshops, their quarterly journal, Veld & Flora and much more. If that weren’t enough then your membership supports the excellent work of BotSoc in the field of conservation. In line with the Global Strategy for Plant Conservation they are working hard in raising awareness of South Africa’s unique flora and ecosystems through environmental education. They are developing innovative strategies and programmes to inspire and teach the next generation of custodians of our natural heritage. This includes capacity building within South Africa’s plant conservation sector through their support of the CREW programme, collecting valuable biodiversity data which informs conservation prioritisation and interventions. In association with their partners they support projects which raise awareness for conservation among landowners as custodians of threatened lowland ecosystems. This small and hardworking non-profit deserves your support. 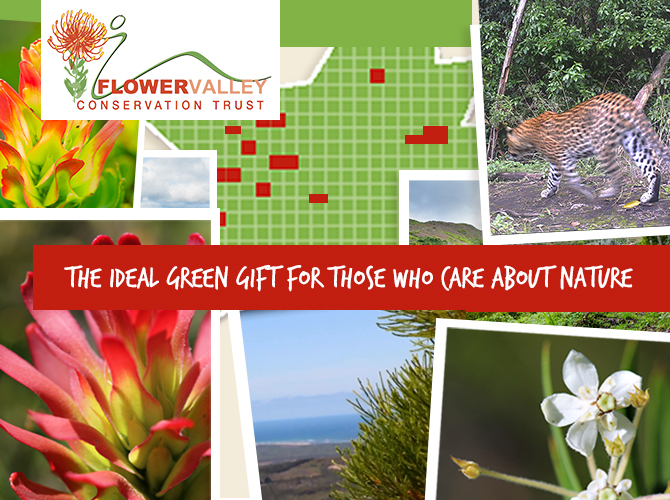 Above: Support Flower Valley Conservation Trust: Why not adopt a hectare? Photo: Flower Valley Conservation Trust. Flower Valley Farm is the home of Flower Valley Conservation Trust. 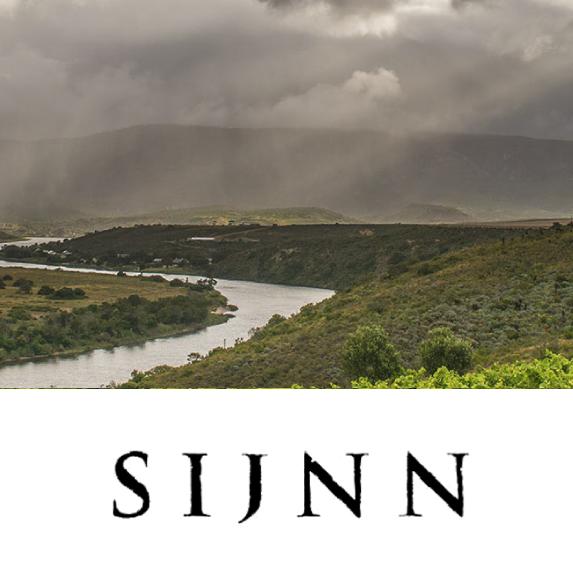 The 540 hectare property was purchased with the help of Fauna and Flora International in 1999 and played a vital part in Flower Valley Conservation Trust’s pioneering work in developing sustainable harvesting practices for cut flowers in fynbos. The findings of this work have since been widely implemented across the Cape Floristic Region. Today Flower Valley Farm acts as a showcase for responsible tourism and community focused conservation. They are also the home of the Flower Valley Early Learning Centre. So how can you support their valuable work? Flower Valley Conservation Trust are offering the opportunity to Adopt a Hectare of Fynbos at Flower Valley Farm. This green gift protects a hectare of endangered Fynbos species as well as the fauna which depends on it. Funds raised from this programme are invested in alien clearing, staff training, wildfire protection, environmental monitoring of species such as the Cape Leopard and overall maintaining a well-managed fynbos landscape. Those who adopt receive regular updates, free access to Flower Valley Farm and much more. The World Wide Fund for Nature (WWF) is one of the biggest household names in conservation. WWF South Africa work tirelessly with the aim of conserving South Africa’s biodiversity assets, encouraging sustainable development of ecosystem services, mitigating the effects of climate change and acting as environmental advocates to government among others. They also act as a key funding source to the conservation non-profit sector in South Africa through the Table Mountain Fund and the WWF-Nedbank Green Trust. 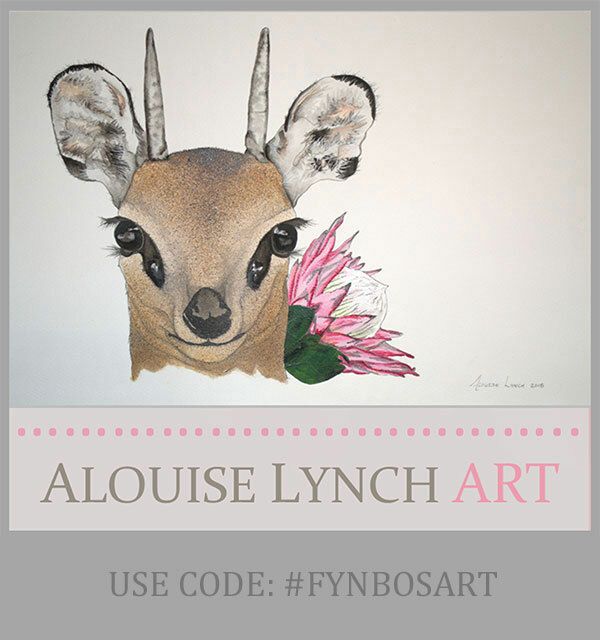 To support the wide-ranging conservation work of WWF-SA why not consider purchasing Christmas gifts from their online shop? 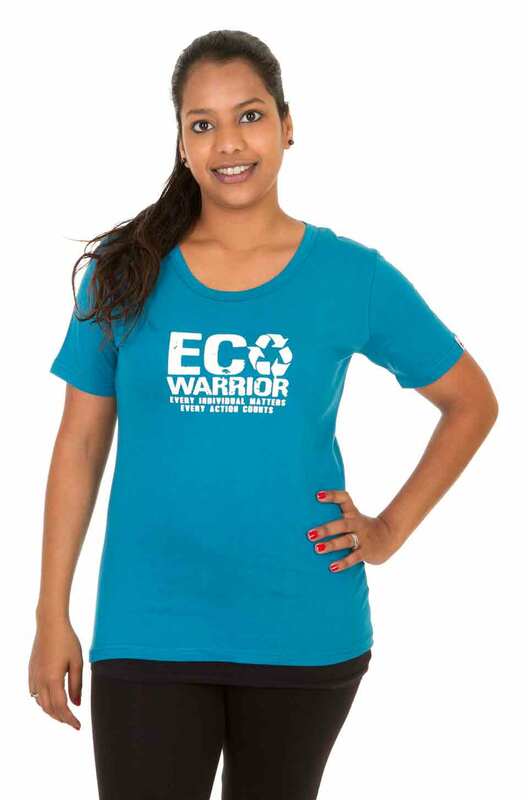 Aside from the feel-good factor of supporting one of the world’s most trusted environmental organisations, all products are ethically or sustainably sourced and are made of recycled or recyclable material or from 100% African cotton where applicable.